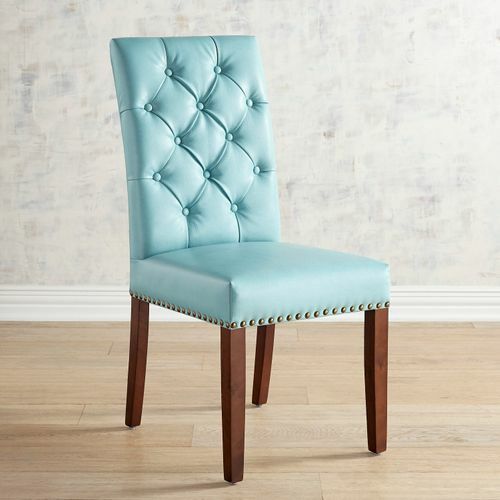 This Hudson Aqua Blue Dining Chair makes an impression with its high, button-tufted back, comfortable foam padding and versatile style. Hand-upholstered in faux leather, it has hand-applied nailhead trim and tapered legs. It sits beautifully at your dining table but is equally comfortable at your desk or vanity. $99.99. Buy here. 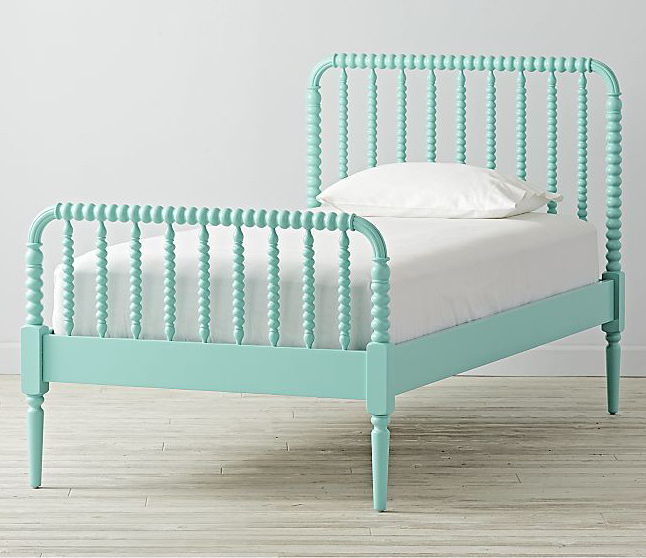 This Jenny Lind Teal Twin Bed designed by Blake Tovin features dozens of intricate woodturnings. Accommodates a mattress only (boxspring not required). Made of solid poplar with low emission engineered wood. (Available in Full here. $499). Buy here. 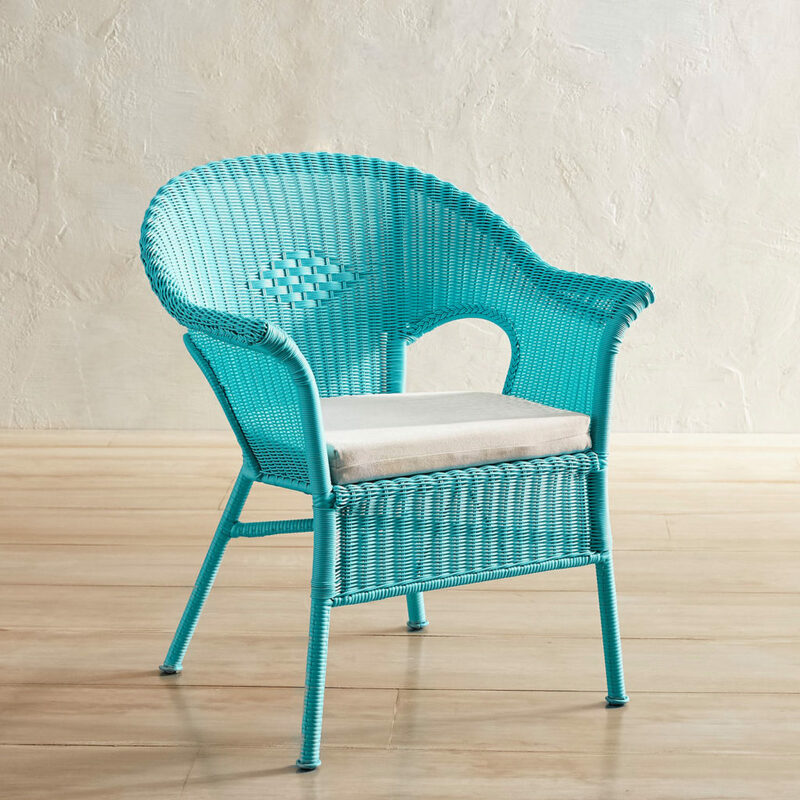 With its pop of bright turquoise, this charming Turquoise Woven Bistro Chair has a sunny disposition regardless of the forecast. It’s the perfect start to creating a private outdoor retreat on your balcony, patio or deck. And knowing how much you’ll love the cabana-cool vibe of its hand-woven chevron pattern, slightly tilted back and golden metal frame, it was designed it to be used indoors, too. $119.99. Buy here. 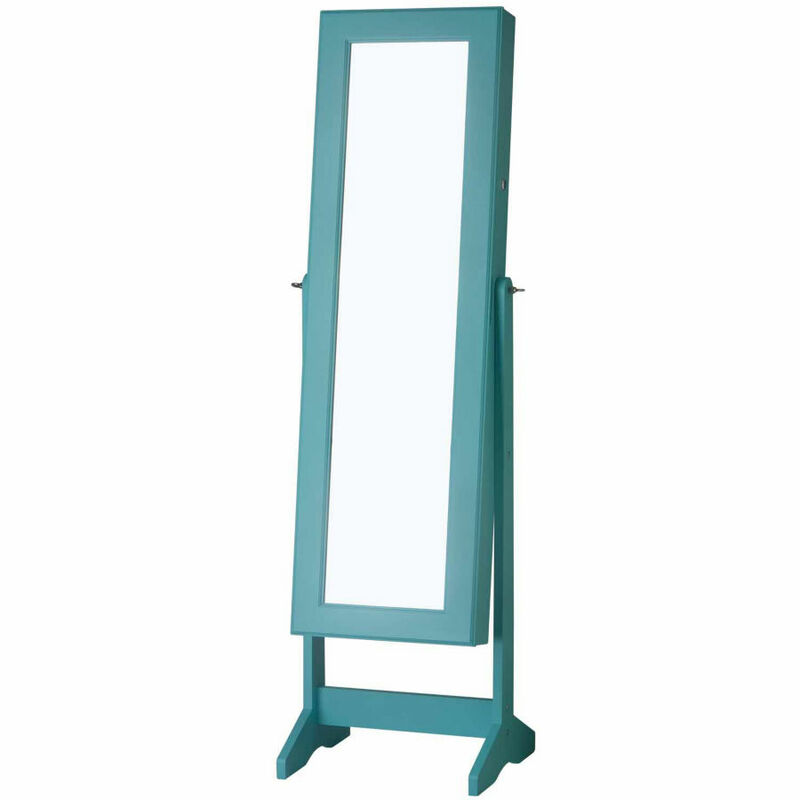 This lovely Turquoise Cheval Free Standing Jewelry Armoire with a mirror is both versatile and stylish. $259.99 Sale $194.99. Buy here. 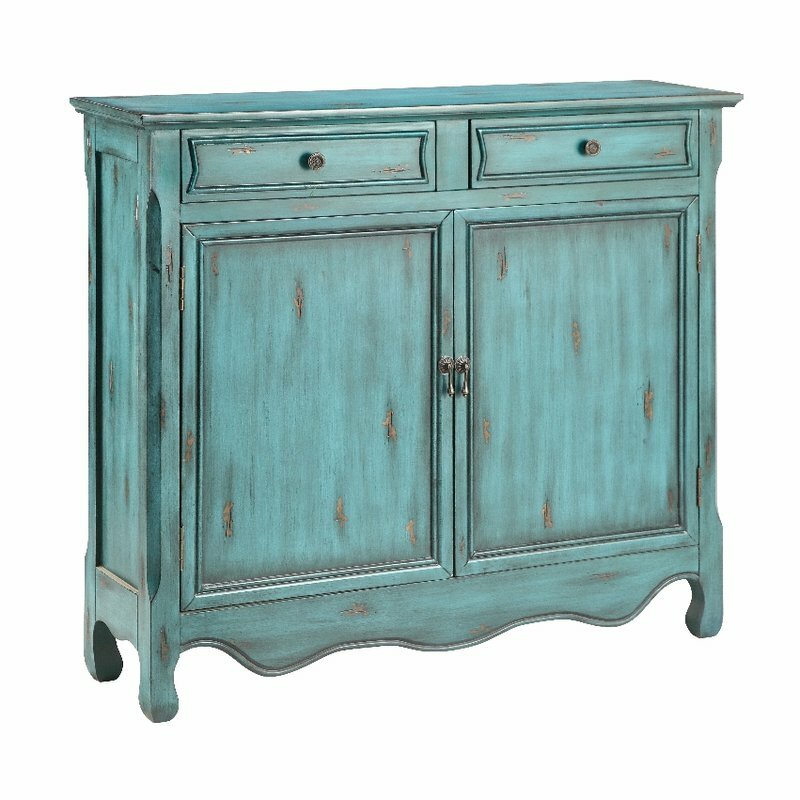 This hand-painted Distressed Blue Accent Cabinet will make a colorful statement in any room. Features two drawers and doors with two shelves inside to keep you organized. $655.47 Sale $339.99. Free shipping. Buy here. Hand-woven, all-weather wicker over a sturdy wrought iron frame makes for casual comfort, indoors or out. 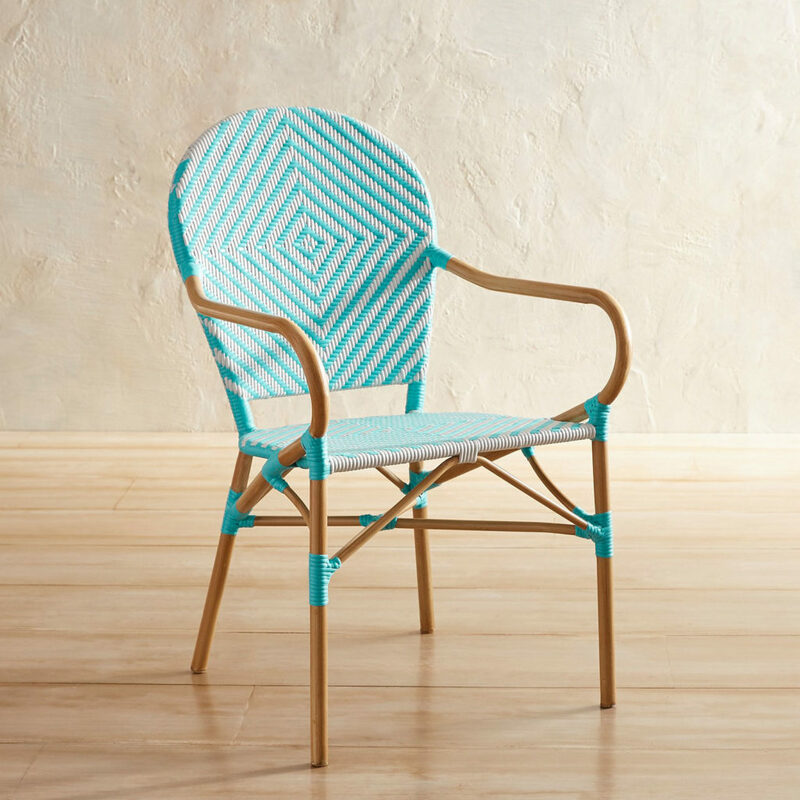 Sized for patios or porches, the Aqua Stacking Chair is stackable for easy storage. Cushion sold separately. $99.99. Buy here. 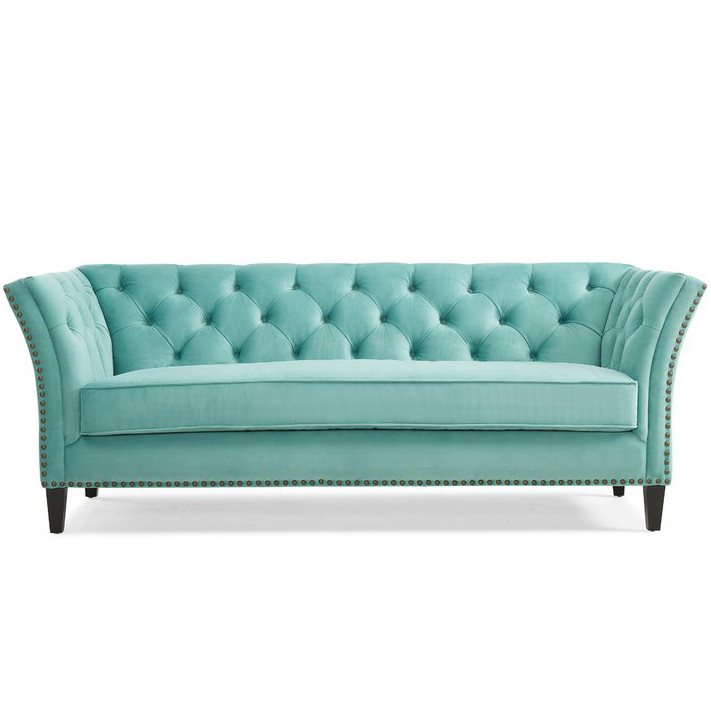 Blending boho-chic style with midcentury modern design, this sophisticated Turquoise Gilmore Chesterfield Sofa lends trendy appeal to any seating ensemble. Founded on an engineered mixed hardwood frame, this dapper design strikes an updated chesterfield silhouette with flared arms and four tapered square legs. $1,099.99 Sale $759.99. Free shipping. Buy here. 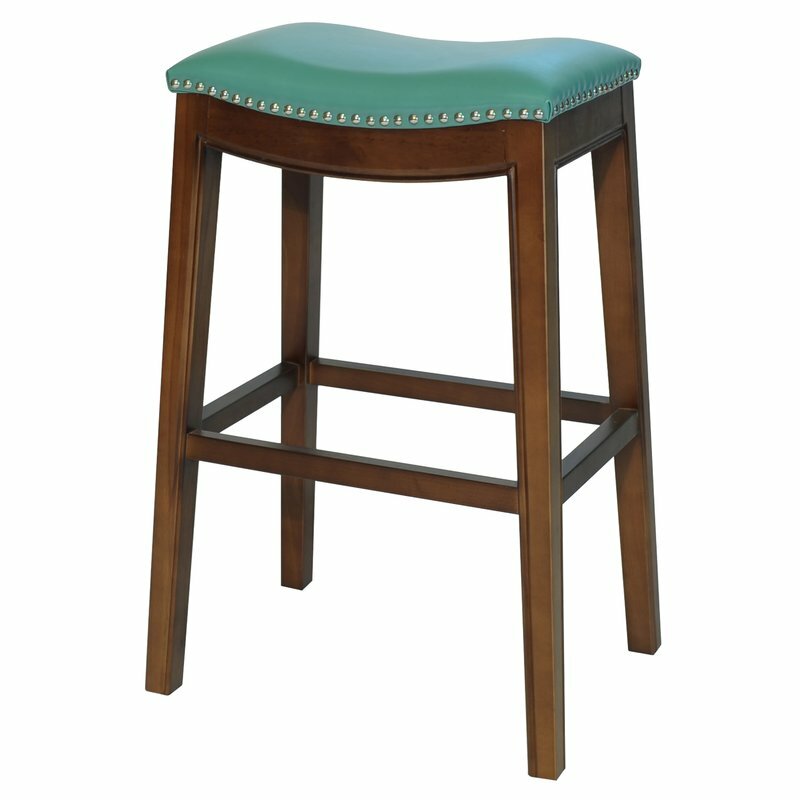 Contemporary styling and distinctive nailhead trim make this Turquoise Lilly 31″ Bar Stool a winner. Perfect for breakfast bars, the solid birch frame and comfortable seat will add a handsome look to any area. $201 Closeout $110.79. Free shipping. Buy here. 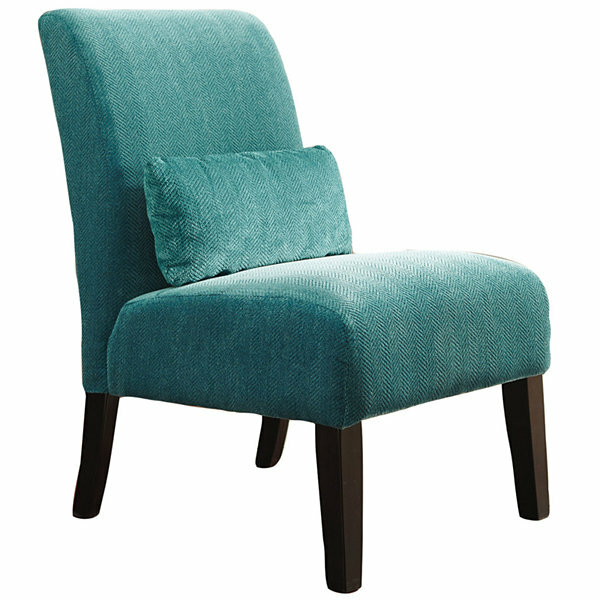 The Teal Annora Accent Chair from Signature Design by Ashley puts the accent on fresh fabrics and clean-lined form. Chic and streamlined, it’s just enough furniture to complete your space. $400 Sale $200. Buy here. 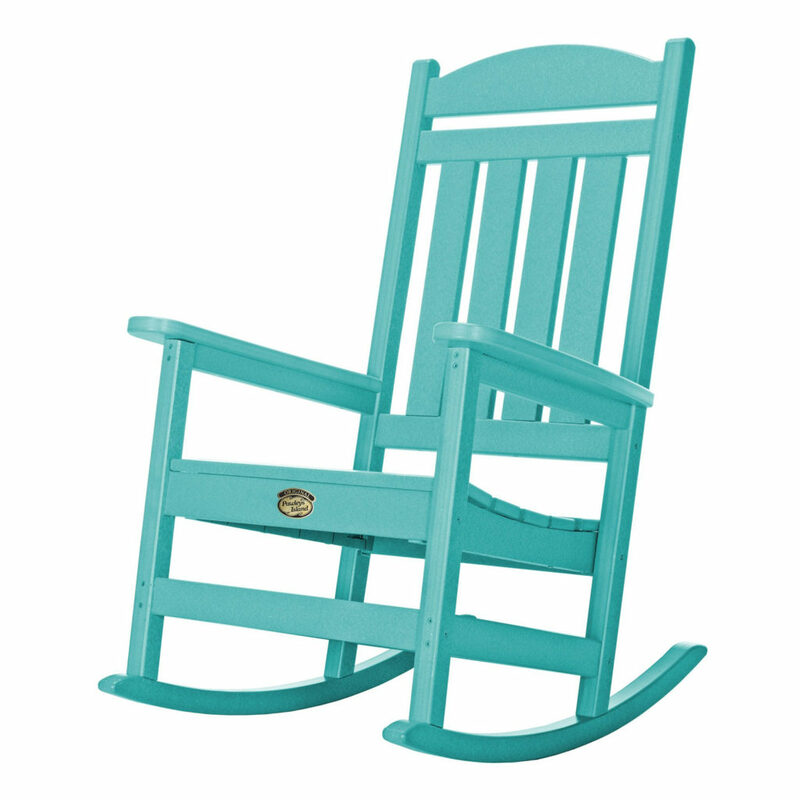 The Pawleys Island Sunrise Turquoise Porch Rocker is an ode to American tradition and comfort. Constructed of heavy duty Durawood® Poly lumber material and held together by marine-grade, 316 stainless steel hardware to provide maximum durability. All screws and bolt heads are strategically hidden from the front view of the chair to give you a modern sleek look. 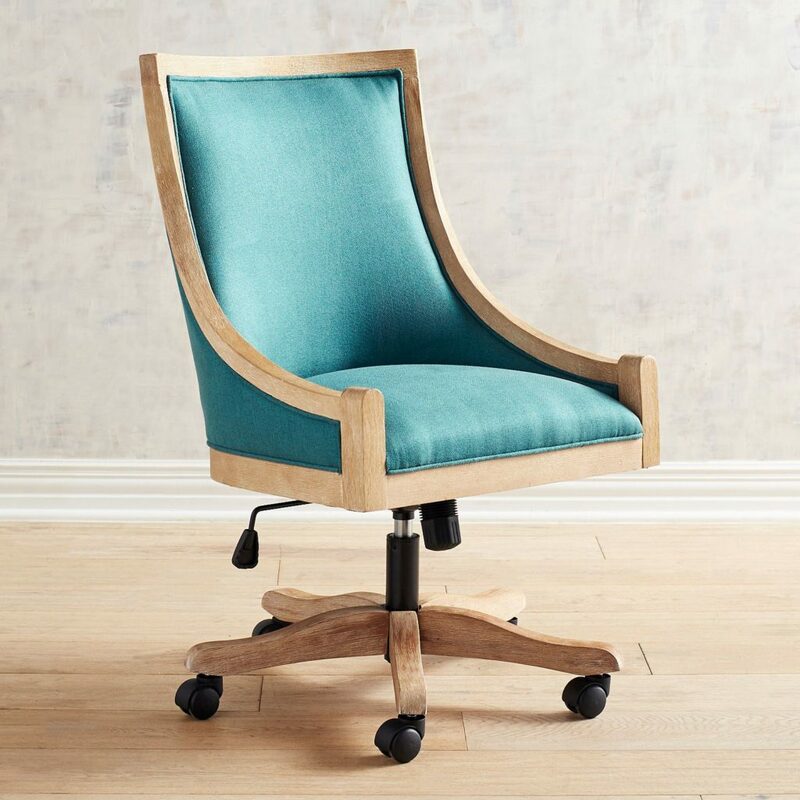 This rocker is a rare combination of superior craftsmanship, traditional design, and modern technology. Proudly made in the USA, handcrafted in the Carolinas. $446 Sale $399.99. Free shipping. Buy here. 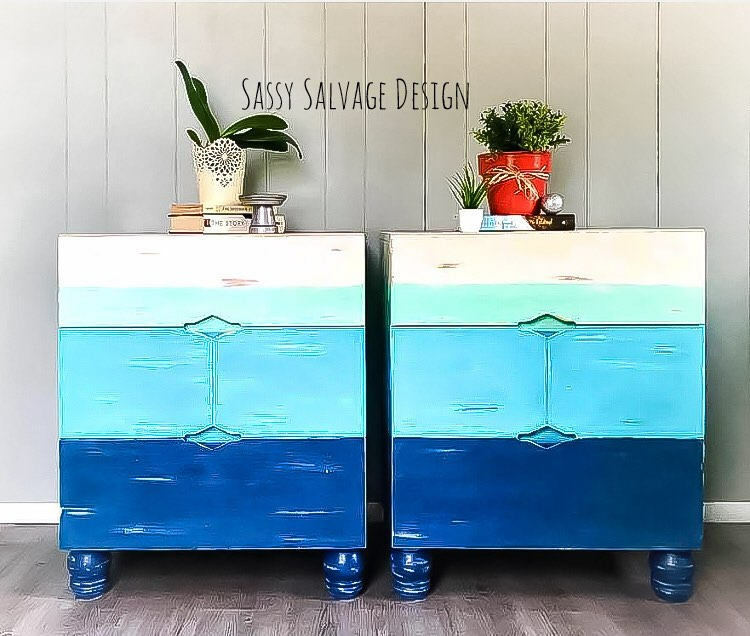 These unique pair of 3-drawer ombré Nautical Painted Coastal Blue Nightstands are perfect for someone looking for those “stand out” statement pieces for their home. 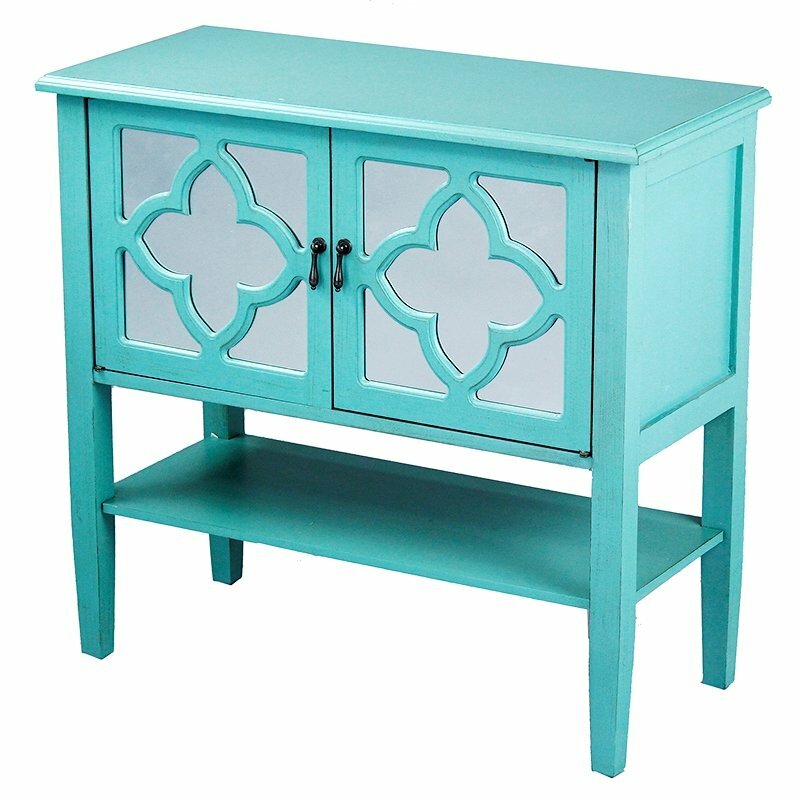 They have layers of blues, teals, and whites to achieve a beachy weathered look and all drawers glide smooth. Everything is sealed with poly for protection. Set of 2. $399. Buy here. 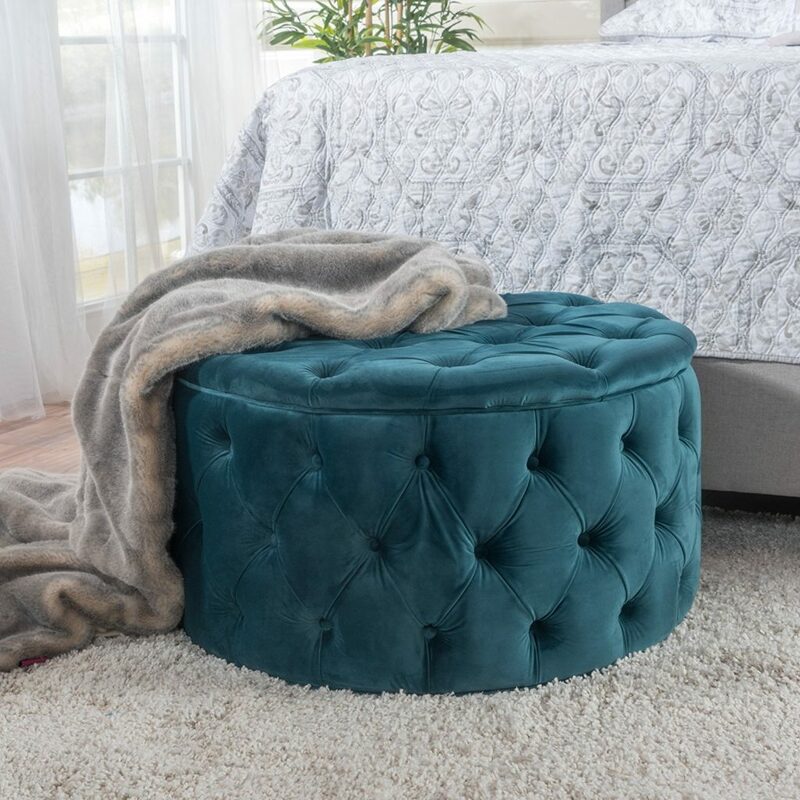 This stylish and comfortable Provence Teal Tufted New Velvet Ottoman is ideal for any home. 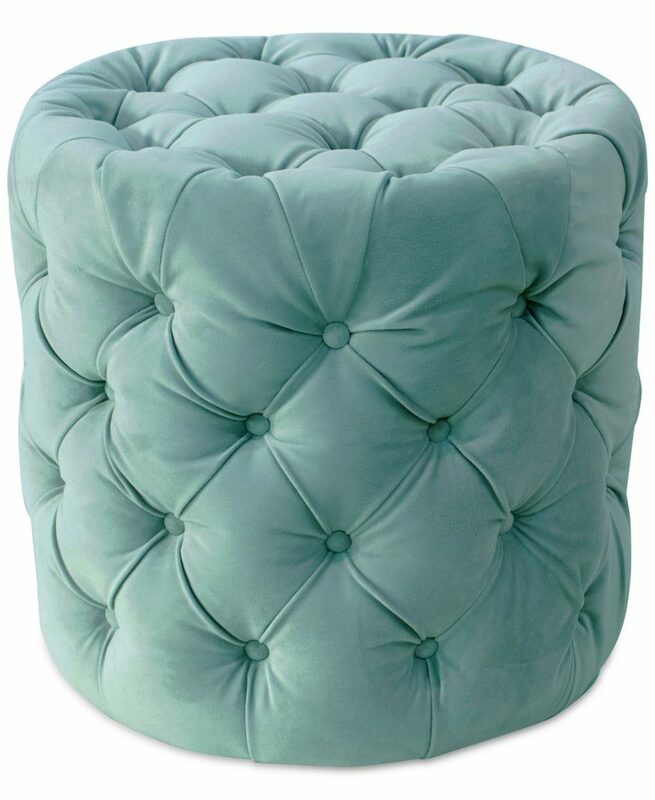 The beautiful, inviting design of this ottoman will enhance your living room space while proving extra seating. $120.46. Free shipping. Buy here. 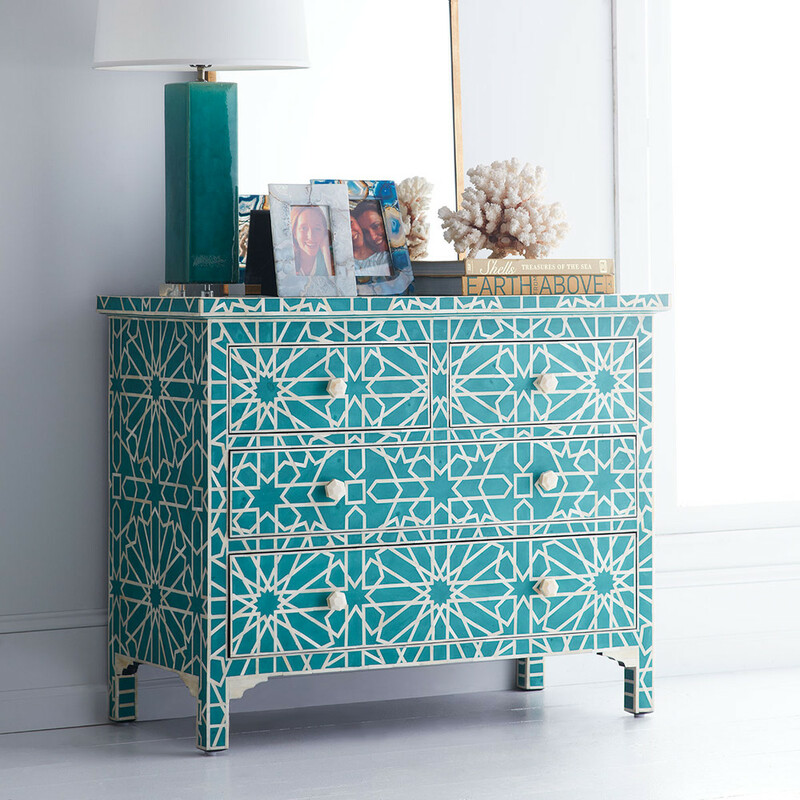 This Teal Moorish Bone-Inlay Chest is a beautifully rendered geometric chest of drawers inspired by the Spanish architecture of the Moorish period (13th to 16th century) and, particularly the Alhambra Palace, which is reflected in the web-like geometric patterns. The intricate bone inlay work is handcrafted and highly detailed; this individualized process produces pieces that are wonderfully functional and appreciated as art. $2,999. Buy here. 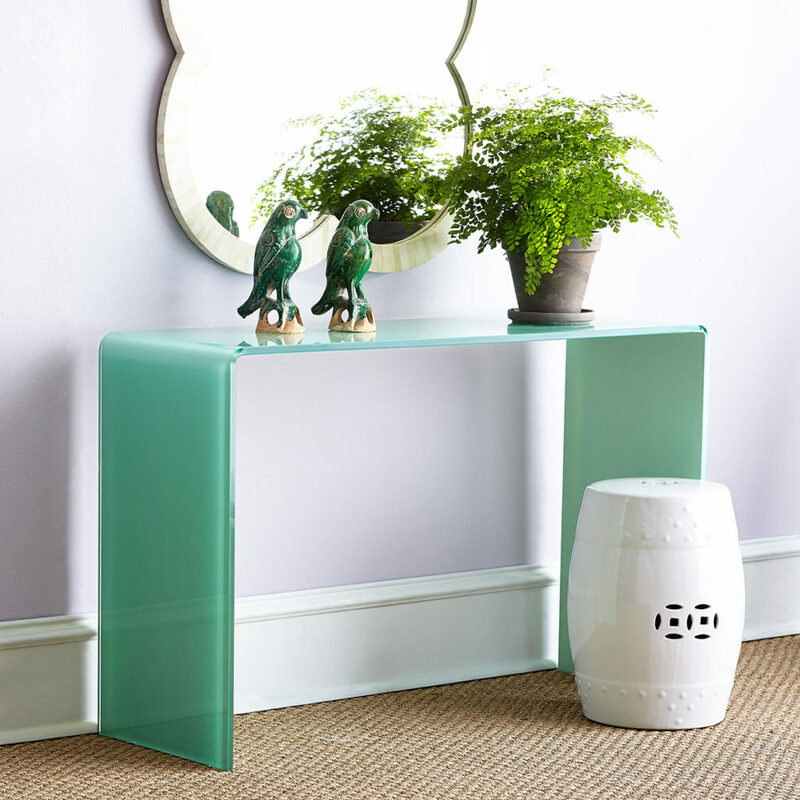 An updated alternative to a modernist French-inspired design, this Waterfall Console table combines form and function,and a pop of color, too! Delve into the artistic dream with the cool, crisp glow of this captivating table. With rounded edges, this back-painted glass piece reveals a soft, yet in depth, reflective feel with a touch of color clarity for any room. $649. Buy here. 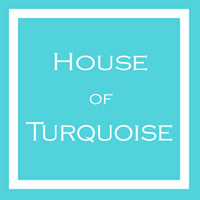 This Turquoise Console Accent Cabinet features two mirror doors for display of your treasures while bottom shelf provides additional display area. $360 Sale $266.99. Free shipping. Buy here.